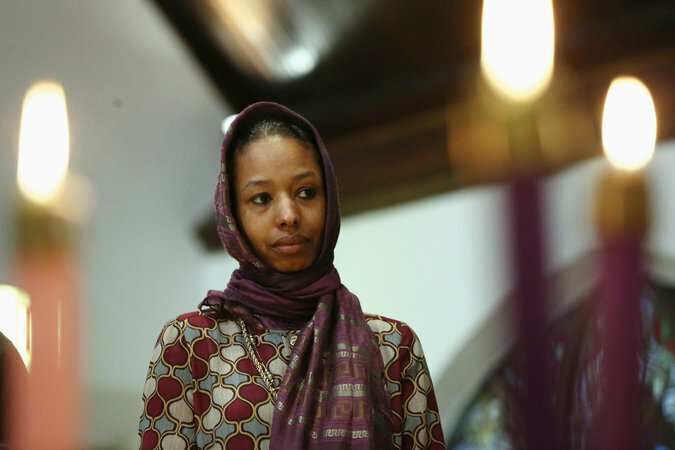 Wheaton College, an evangelical Christian institution, has disciplined a professor who put on a head scarf in solidarity with Muslims and said they worship the “same God” as Christians. The private liberal arts college said in a statement on Tuesday that Larycia Hawkins, an associate professor of political science, had been placed on administrative leave over “significant questions regarding the theological implications” of recent remarks she made about the relationship between Christianity and Islam. “As they participate in various causes, it is essential that faculty and staff engage in and speak about public issues in ways that faithfully represent the College’s evangelical Statement of Faith,” the statement said. The college and Dr. Hawkins could not immediately be reached for comment. But the disciplinary move appeared to be in response to statements she made on Facebook this month that touched on the monotheistic similarities between the religions. The college said that as a tenured faculty member, she was entitled to a full review over her leave status. It gave no other details on the length of her leave, its effect on her compensation, or whether she was barred from classes or from the campus. Last Thursday, Dr. Hawkins posted photographs of herself on Facebook in a Muslim head covering, which she vowed to wear at work, in airplanes and at social events during the weeks before Christmas in solidarity with Muslims facing religious discrimination. “My wearing of the hijab as an act of advent devotion has certainly caused some to question the sincerity of my devotion,” she said. The posts drew support on her Facebook page from people who identified themselves as her students, acquaintances at the university and friends.